Walking back into Social for the first time in more than four years, we are instantly pleased with how familiar the room feels. Now in its 14th year, there have been subtle refurbishments, but the room remains very recognizable, looking much as it did on opening day in 1999. It was well designed then, and it remains a beauty today. But there have been some changes. Executive chef Matthew Carmichael has left Social, along with its sister restaurants Sidedoor and E18hteen, to pursue independent projects. Stepping up to helm the kitchen is chef Jordan Holley (as well as Matt Hall, who recently left the restaurant). The menu seems to have been gently tweaked under their leadership. Here still are the familiar proteins, the French brasserie classics (lobster bisque, beef tartare, duck confit), but a more contemporary feel has nudged in. When is the last time you saw pheasant on a menu? Or a dish like heirloom carrots presented five ways, with black garlic and burrata cheese? This turns out to be a stunner. The carrots, in turn, are raw, roasted, braised, pickled, and puréed, paired with the tangy molasses richness of the fermented garlic, complemented with the buttery burrata. Toss in some puffed wild rice for crunch, and you have the makings of a marvellous plate. The pheasant turns out to be something we would order again, too, the meat juicy and rich, with just a hint of gaminess. Some of us choose to play it safe with the house steak frites. Though the meat is splendid and the cooking perfectly judged, the fries are dull, their uniform size and shape suggesting these were cut from a bag. Still, we can overlook it. We find more to like at this old-timer, particularly the new direction in the kitchen. Not accessible. Mains $22-$38. Open daily for lunch and dinner. 537 Sussex Dr., 613-789-7355. We demand oysters. They are supplied. Beached beauties on crushed ice, fat and creamy, muscular and minerally, all glistening on their half shells. Oysters are the clear way to begin blunting hunger at Supply and Demand, West Wellington’s latest hot spot. But there are other raw pleasures here: albacore tuna crudo with puffed rice and truffle oil, duck tartare with purple mustard, capers, and corn nuts — thoughtfully crafted assemblies of textures and flavours. This is the first independent project for chef Steve Wall. He comes to the job from Luxe Bistro and previously from Town and Whalesbone. Together with his wife, Jennifer, floor manager Phil Kelsey, and a team of servers who know their stuff, Wall already has this new place operating like a sophisticated neighbourhood fixture. If the ceiling were only four feet higher, it would feel like a European brasserie, with its gilded mirrors, schoolhouse lights, subway tiles, and classic penny-tile floor. The seahorse wallpaper injects whimsy, the open kitchen makes it personal, and the bar is long and inviting. Wall’s menu is filled with things we want to eat, packaged on one page to fit the modern way of dining out. Raw starters, warm decadent treats, and a section of humble vegetables your mother has always wanted you to eat but here transformed with the bounties of brown butter, salt, vinegar, capers, anchovy oil, sharp cheeses. The squid ink spaghetti with octopus and sea urchin is a marvellous dish. So is the gemelli with duck bolognese. And the roast chicken with cured lemon and wheat berries is a stunner. A few mini quibbles: an exuberance of red chili rings overwhelms the delicacy of a marinated shrimp dish, the ling cod en papillotte is correct but too subtle, and we find that the stuffed squid paddling in a tomato and cranberry bean ragout reads better than it eats. Desserts — bread pud, lemon pound cake, chocolate brownie — are simple pleasures with refined turns. When S & D is filled, as it often is, there is a din. But it’s more merry than uncomfy and nothing that should put off your appetite for this terrific newcomer. Accessible. Mains $21-$35. Open daily 5 p.m. to 10 p.m. 1315 Wellington St. W., 613-680-2949. Finally, a bit of promise in the dark, pedestrian, unfriendly maze of the big-box Kanata Centrum. Aperitivo replaces Bin 790, though it doesn’t chuck the small plates concept. It has kept that style of dining out and added a gluten-free (or mostly gluten-free) component to a menu that’s long on grazing food and short on long plates. There is stuff to like here — topmost the kitchen’s clear use of quality ingredients. And even what’s not to like shows promise. We just find ourselves saying “If only” too often. If only, we sigh, the otherwise clearly worthy steak tartare weren’t so heavily salted. If only the very tender grilled calamari weren’t deluged with so much garlic. Same thing for the johnnycakes with their perfectly poached egg but all that jarring garlic. And must the pickled coleslaw in the tilapia tacos be quite so spicy? Ouch. Though wouldn’t change a single thing about the coffee-rubbed and braised short ribs — simply superb. And scallops with squash hash and bacon candy work pretty well. Gnocchi don’t. Bullets, these, with a too bitter cream sauce. Love the sticky toffee pudding. Love the coffee. Hope to love more soon. Fully accessible. Small plates $9-$16; mains $18-$24. Open daily from 11:30 a.m. to 11 p.m. 655 Kanata Ave., Unit L2, Kanata Centrum, 613-592-0004. When news got out that El Meson on Beechwood had changed hands, the anxiety quickly shifted to sighs of relief when it became known that the new owner was Andre Cloutier. Cloutier, this Beckta of Beechwood, has done a great job with Arturo’s across the street, transforming it in the span of a few years from an Italian deli counter to a lively, informal (and licensed!) eatery. He is staying true to form with expert and subtle transition stewardship at El Meson. The legacy of Jose Alves, the previous owner, is alive and well, from the same attentive and knowledgeable wait staff to the white tablecloths to the recommended bottles of wine that don’t appear on the wine list. The menu still offers the classics of Iberian cuisine — this is not a tapas place — but the kitchen is more refined. The result is a bustling dining room filled with happy couples and families, as well as large groups in the private rooms available on the second floor. Now to the food. The gazpacho, even in the early months of spring, is a crimson delight, as good as any you could taste on Las Ramblas. The beet salad, seasoned with maple, is an exquisite winter salad, crisped and freshened with batonnets of fennel and green apple, the ruby pile topped with shards of hard goat cheese. The paella valenciana, which had been too salty on earlier visits, is perfectly seasoned now, with tender rings of calamares; fresh, plump mussels and clams; fat shrimp; chicken; and sausage, all snuggled deliciously on saffron-infused rice with peas, peppers, and onions. Lamb chops are served simply in a rich fruit-based sauce, cooked just as directed, with sides of perfectly cooked veg. Unchanged is the signature dessert, a meringue served with crème anglaise and sprinkled with cinnamon. Not accessible. Table d’hôte $38-$44. Open Monday to Friday for lunch and Monday to Saturday for dinner. 94 Beechwood Ave., 613-744-8484. Each reviewer’s visit is unannounced and paid for by Ottawa Magazine — there is no connection to advertising. 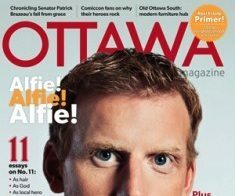 (Restaurateurs should be wary of anyone claiming to be an Ottawa Magazine reviewer: this person would be an imposter.) Wine list and service, decor, atmosphere, and comfort in all its aspects (from cleanliness to noise) are noted as well but do not form part of the rating. Unless noted otherwise, a restaurant is licensed.